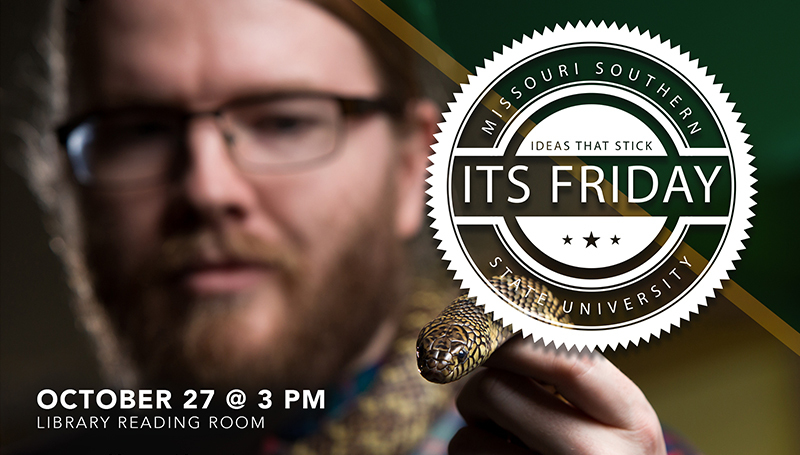 David Penning will offer the next ITS Friday presentation at 3 p.m. Friday, Oct. 27, in the Reading Room on the fourth floor of Spiva Library. An assistant professor in the Department of Biology and Environmental Health, he recently lent his expertise in the snake world to “Secrets of the Dead: Graveyard of the Giant Beasts,” which aired on PBS in November. A crew from the Discovery Channel was on campus recently to film a segment with Penning for an upcoming program.